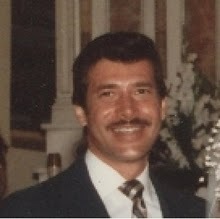 Read about an exciting new book by H. Peter Alesso and enter to win a $25 Amazon gift card below. 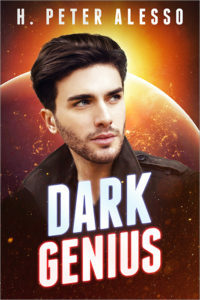 A decade later, despite his past academic failures and egregious family circumstance, Andrew Lawrence embarked on a journey of discovery, competing against rival scientists to be the first to solve the greatest unsolved mystery of the universe—dark matter—and win the ultimate prize; the Nobel. Emma Franklin, a PhD candidate at Harvard, developed software for detecting particle reactions using a quantum computer. To the amazement and excitement of the scientific community, her work revealed two possible bumps in the energy curve that were not predicted by any established theory. At MIT, Lawrence created a model that predicted the scattering processes of a dark matter supersymmetry particle. Though his early work was disparaged, he improved his theory and found that it predicted the data Emma had discovered. Their professional collaboration deepened into a personal relationship, but when critical data was stolen, Emma found evidence that incriminated Lawrence. Though she withheld the impeaching material from the authorities, she felt she could no longer trust him. Despite their troubled partnership, and notwithstanding the complexities of nature, Lawrence and Emma persevered against the egos, jealousy, and envy of rivals, on their exhilarating quest to find the ‘Holy Grail’ of physics. In one well-lit corner, Professor Stanley Prost sat at his desk studiously examining a computer screen. His long straight nose, jutting prominent chin, and carbon black eyes, gave the appearance of a man not to be trifled with. He held his hand to his brow, masking his eyes, as if to conceal his innermost thoughts. However, his red pitted skin and the twitchy lips destroyed any semblance of a distinguished pose. His overweight frame and slumped shoulders made him look like a bloated figure despite his close-cropped hair and clean-shaven face. An expensive, but ill-fitting suit, hung like a sack over his body leaving an overall appearance of discomfort. While Prost rapidly slid his finger across the computer screen, Lawrence stood waiting like a statue. He let his gaze wandered to the scene visible from the window—scampering students making their way on their personal college adventure. “Thank you, Professor,” said Lawrence in a clear strong voice, despite a peculiar stir of emotions—doubt, tension, apprehension. He had prior experience with this man—with unhappy consequences. Lawrence’s eyes darkened to match his tousled hair, but he remained quiet for what seemed a portentous moment. He clenched his teeth and was self-conscious of a bead of sweat on his brow. Lawrence shifted in his chair, uncomfortably. I’m to be rebuked for the sins of the past. Thank you for hosting. I hope some of those who have enjoyed by earlier work will try this new book. They won’t be disappointed. I think you’ll find it out of the main stream and maybe that’s a good thing.